Dean is responsible for driving growth and profitability across Hudson’s Australia & New Zealand Recruitment business. 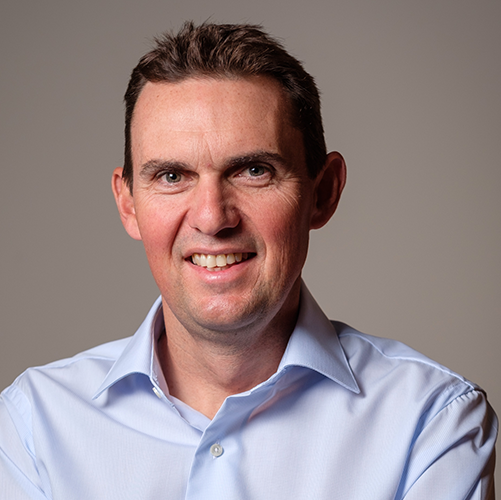 Dean has over 15 years experience, joining Hudson in 2000 as a Senior Consultant within Hudson’s Queensland Accounting & Finance practice, and in 2003 transitioned into senior leadership. Welcome to our video series, The Experts. In the series, we interview staffing and recruitment leaders to hear their perspectives on industry trends, lessons they’ve learned in the careers, and their leadership philosophies. 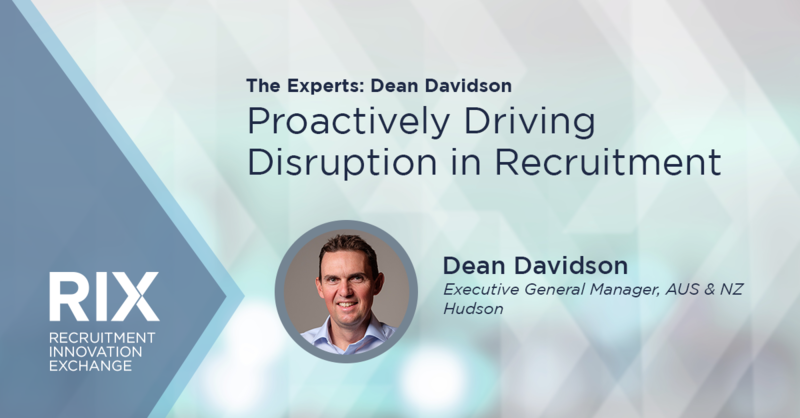 In this clip, Dean Davidson, Hudson‘s Executive General Manager, Australia and New Zealand, discusses how recruitment leaders can proactively drive disruption in the industry and why firms should start thinking of themselves as technology companies to thrive in the modern world of recruitment. What industry trend are you watching most closely in the year ahead? Dean Davidson: What I’m probably most interested in at the moment is how, as an industry, we actually disrupt ourselves. One of the big changes we’ve seen within Hudson, now that we’re a privately run organization, is that we’ve got the ability to really lead and drive disruption within our own business. What I’ve found within the recruitment sector is that most recruitment leaders are very sales driven with sales targets. While they might talk a lot about wanting to disrupt and innovate, most of them actually just want process improvements because there’s a bit of reluctance and fear factor. If they get too preoccupied trying to disrupt their own businesses, they’ll miss their sales targets. They’re worried about the impact. I think as an industry, the leaders within it have to make sure they’re actually truly trying to own the disruption and not waiting for someone to come in and disrupt it, and before we know it, the world’s changed dramatically. What’s the role of senior leaders in navigating industry disruption? Dean Davidson: I think the role of senior leaders in the staffing industry needs to be that of wanting to take ownership to cause disruption in their own organization and not fearing the immediate impact on their short-term numbers. We know disruption is coming and I still think as senior leaders in the staffing industry, we need to seize every opportunity to collaborate together to progress conversations without trying to fix old school recruitment 101 problems that have been there since day one. To thrive in today’s recruitment landscape, what do firms need to do? Dean Davidson: In terms of thriving in the new world of staffing and recruitment, firms need to really shift to being tech businesses. Staffing and recruitment organizations are very sales-orientated and they need to be. But if you’re really going to stand out and drive efficiencies to innovate and disrupt, the lens that staffing and recruitment businesses now need is [to view themselves as] a tech business. I think the majority of staffing and recruitment business are still very old school with how they do that. Technology will clearly lead the way. Yes, we’re people-orientated, but the way people are going to become more productive is to turn their businesses into tech businesses. Click on the image to tweet it. What do 2,000+ recruitment professionals say are the top priorities, challenges, and trends that matter to them in 2019? Find out at the brand new site for global recruitment insights and data.